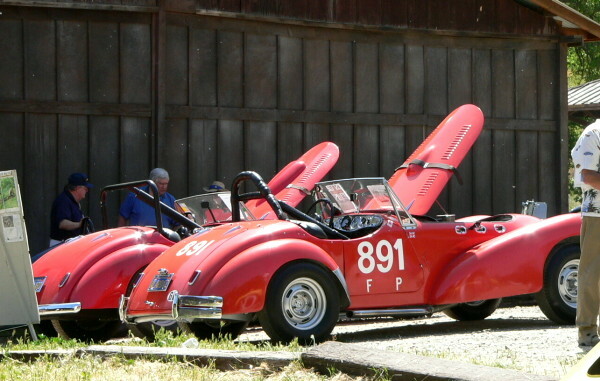 Allards were crude British beasts with huge (for their era) American V8 engines. They dominated sports car racing main events in the USA in the early 1950s. 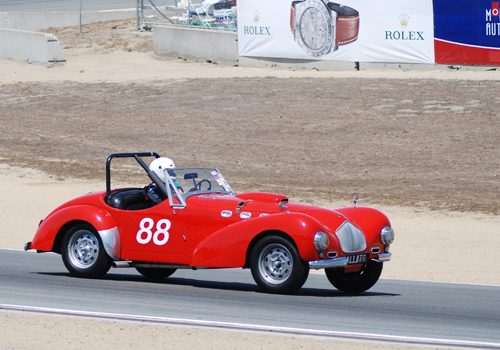 "The Allard behind #891 belongs to James Degnan who races it every year at Laguna Seca in the Monterey Historics. (Photo below.) Lots of fun to see and hear it running at speed."